A gold digger must be a Jack-o-all-trades; he must be able to strip bark, fell a tree, and saw it, dig sods, make embankments, put up a hut, mend your clothes, draw firewood after chopping it, bake, boil, and roast, use a pick and spade, delve, dig, and quarry, load, and unload, draw a sledge, and drive a barrow, cut paths, make roadways, puddle in mud, and splash ankle deep in water, with occasional slushings from head to foot, bear sleet and rain without flinching during the day, and sleep in damp blankets during the night, thankful that they are not entirely saturated – if you can do all this, and have spirit enough to attempt it, and endurance enough to carry it on for three months, why there is gold and rheumatism in store for you. Object 8 in the exhibition is a 223-page diary written by a Scottish gold-digger on the Ballarat goldfields. The diary is on loan from State Library Victoria. The diary was written over a six-month period, from 8 July 1855 to 1 January 1856. It is closely written in black ink in a ruled cash book bound in black leather. The author’s name remains a mystery, but his handwriting, spelling, grammar and talent for description suggests a good education. The diary includes the account of a fire that killed 11 people, the murder of a butcher, theatrical performances by Lola Montez, Charles Thatcher and others, the arrival of new prostitutes in town, even the escape of a Bengal tiger from the Montezuma Circus into Ballarat's Main Street. But it is the author’s description of daily life on the goldfields that makes this diary so interesting! The diary contains descriptions of daily chores, meals and weather conditions. Got up about 9 o’clock. Had breakfast and accompanied John Adams, Dugie Weir, Jim Young & Bill Douglas out to Magpie Gully to assist in erecting their log hut. Engaged all day in getting up the logs and building chimney. Returned after sunset pretty tired and hungry. The first rush to Ballarat was in 1851 when nuggets of gold could be found in the shallow surface soil and the lucky ones could make small fortunes easily and overnight. This miner arrived in time for the second rush, when miners had to work in incredibly trying conditions, sinking deep shafts and tracing the underground leads. Life on the goldfields was exciting but conditions were harsh. The miner lived in a simple tent; canvas thrown across a timber frame, pegged to the ground over a dirt floor. For more comfort, he built a mudbrick fireplace at one end. The tents were cold in winter, hot and stuffy in summer and unpleasant when it rained: ‘Got home and found the tent afloat and my blankets wet’. Flies and ‘troublesome fleas’ were a scourge during the summer months, as was the ‘incessant mosquitoes’. The miner’s diet was very simple. It consisted mostly of mutton and duff (‘duff’ is a flour pudding boiled in a bag), with the occasional potato. Such diets, with almost no fresh fruit and vegetables, left diggers prone to all manner of ailments, including scurvy. The diet certainly accounted for the continual festering of abraded hands and knuckles, which few diggers could afford, and aggravated the incidence of the infectious diseases which were a feature of digging life. Hygiene was an issue on most goldfields, especially in the 1850s. Streams around the diggings were soon polluted by gold washing, refuse and worse, causing widespread dysentery, then the dreaded typhoid fever. Other common inflictions were the respiratory diseases, rheumatism and cramp produced by working in water and sleeping in damp clothes or on wet ground. A digger’s life was dangerous and many died trying to make their fortune. Accidents were common. Mine shafts collapsed, killing diggers trapped under rock and timber. Shafts flooded with water while men were working in them, or filled with poisonous, deadly fumes, known as ‘foul air’. The accident arose from foul air. One of the men having went down the shaft and the air having caught him when about 60 feet from bottom he dropped out of the bucket and was killed. This lad who was working for me t'other day then jumped into the bucket and sd. lower away cheerily boys to we see what's up. Poor fellow, he got served out the same way and was awfully smashed. In 2013 UNESCO added this goldfields diaries to the Australian memory of the world register. Founded in 2000, the UNECSO Australian memory of the world register was the first in the world; now there are more than 60 national Memory of the World programs, and is designed to list documents that have significant documentary heritage. 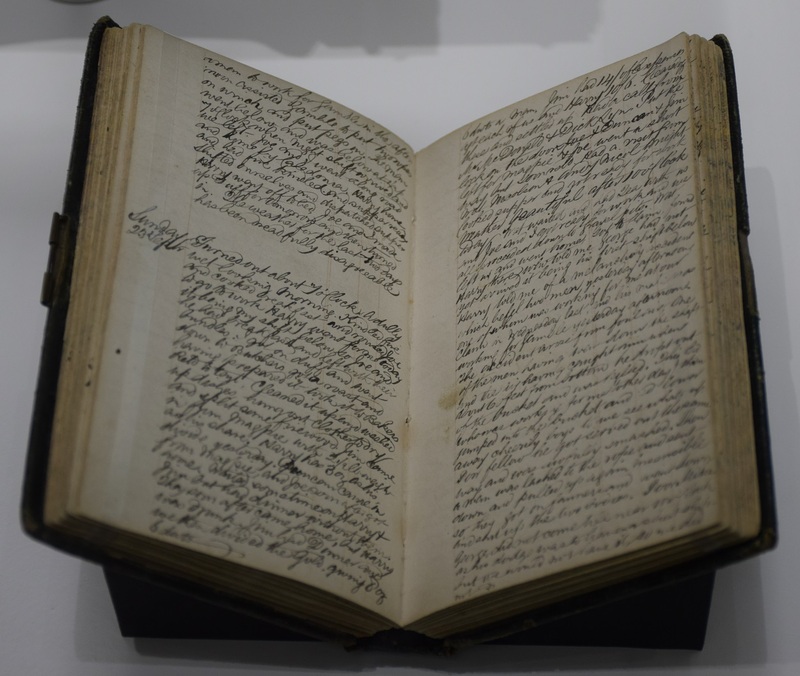 Click here to read the full diary online at State Library Victoria.